← Throwback Thursday: Win BurgerTime World Tour on XBLA or PSN! The method of how each stage expands within itself is very crafty! Before you start singing “As Long As We’ve Got Each Other” to yourself, know that this new indie game from Smudged Cat Games is not related to the hit 80’s TV show. Now, now, settle down. Before you dismiss it for the lack of Kirk Cameron, let me remind you that you don’t need him or Alan Thicke to make a good game (Editor’s note: True, but it couldn’t hurt). Much like their first and very enjoyable Xbox Live Arcade release, The Adventures of Shuggy, Smudged Cat Games once again show their love for old-school platforming complete with simplistic, fun and addictive gameplay for the Xbox Live Indie Game library. In Growing Pains, you take control of… well… I’m not even sure what it is. Looking like a little brown, hairy mop with one silver eye, players control “The Vessel” through a 2D platforming gauntlet of dangers such as spiked balls, cannons to lasers. Armed with a trusty jump button, gamers will depend on swift movement and careful timing to perform speed runs through nine cleverly built stages made up of several single-screen rooms. The niche here is that the Vessel continuously grows in size, which forces gamers to reach the checkered flag of each room with haste before they become too large to fit through the exit. A good chunk of the rooms require a collection of rainbow glowing key items, which are usually guarded by previously mentioned obstacles. Controls are pretty smooth and very easy to hop aboard with. The jumping physics work well as you can get extra height after a bounce with correct timing after landing. You also have the ability to hug the walls and continuously wall jump. Adding a bit of strategy is the ability to slow down or speed up the growing process with the triggers. You can grow as much as you want to, but you’ll have to use the growth stop conservatively as it does have a usage limit per room. To get a sense of scope of the large and well thought-out level design, you can toggle a zoom with the bumpers and see how the stage expands as each room is built within the next. If I had to fish for a complaint, perhaps the movement is a tad too fluid for its own good as tighter and more precise jumps can be a little difficult to nail perfectly. Growing Pains is toting a very fresh concept that is pulled off impressively for a small little package. The stage layout and the challenges each room contain are sure to garner appreciative nods from old-school platforming fans. Its speed run mentality aims to give you sweaty palms as you attempt to outdo yourself and your friends on peer-to-peer timing leaderboards. The gameplay does the talking as the graphics are very minimalist with nothing too flashy going on, but it does feature some bumping music that really heightens the sense of urgency as you perfect your stage runs. The fun is short lived though. With only nine stages to blast through and three distinct sets of difficulty, it should run you a couple of hours, tops. Perfectionists looking to master their speed runs can get extra mileage as it’s certainly fun enough to revisit a few times. Maybe future updates can feature new stages, but as it is, most people can be done with this pretty quickly. AS LONG AS WE GOT EACH OTHER! Okay, stop that! Smudged Cat Games’ new Xbox Indie Growing Pains is a very unique yet classic feeling 2D platformer that’ll snag your attention for at least a short while. 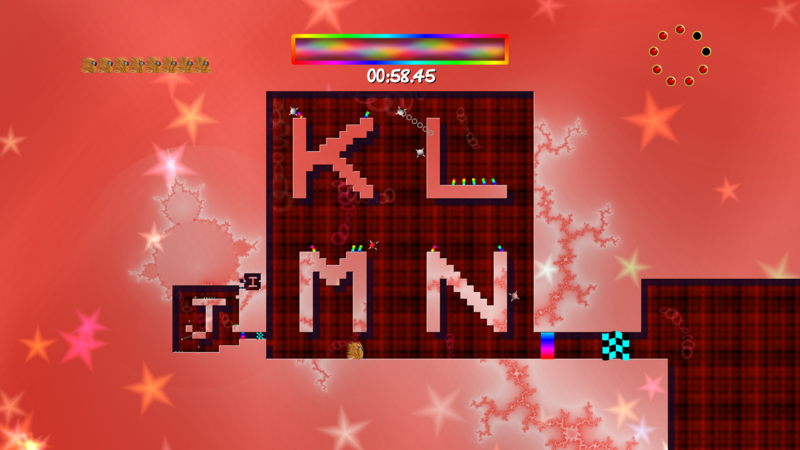 Quick, clever and fun, this 240-point title features great level design and smooth controls. I only wish there was more.